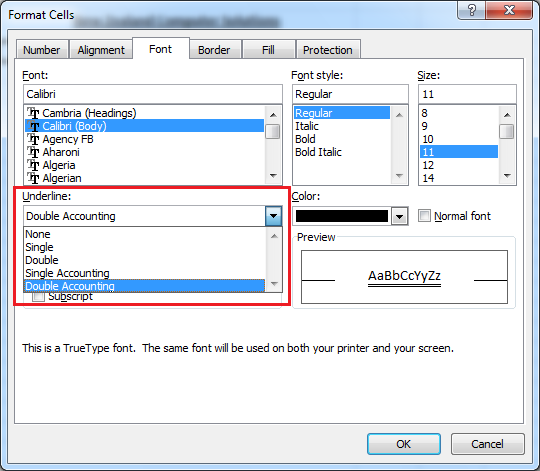 Select the text, cell, range of cells, or characters that you want to double underline. 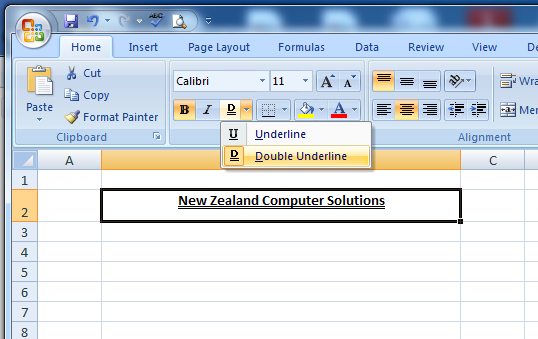 On the Home tab, in the Font group, click the down arrow in side of U icon. 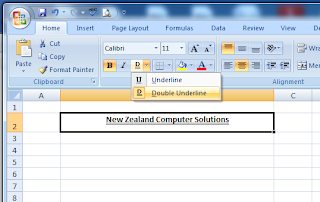 Note: You can also make different types of underline. 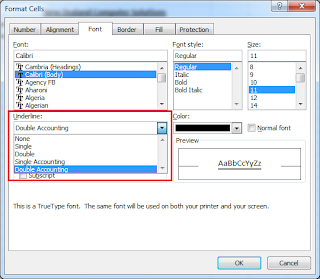 On the Home tab, in the Font group, click the Format Cell Font dialog box launcher next to Font, and then select the style that you want in the Underline list.